In February, Elizabeth represented the Voices team at frank2018– the fifth annual convening of public interest communicators organized by the University of Florida’s College of Communications and Journalism. The emphasis of this very full two-and-a-half day gathering is on exposure to thought-provoking ideas. TED Talk style plenary presentations are intermixed with opportunities for small-group learning and individual networking. Following are a few highlights that we think will be of interest to you. If you want to see more, each of the nearly 30 sessions is available to view on the frank YouTube channel. The most directly relevant session for Voices’ work was an eye-opening presentation by Tina Rosenberg. You probably know her as one of the writers of the New York Times Fixes blog, but she is also cofounder of the Solutions Journalism Network. Solutions Journalism is an approach to news reporting that focuses on the responses to social issues as well as on the problems themselves. (Here’s one example of the solutions journalism approach that features civil legal aid. Here’s another one.) At Voices we are especially fond of solutions-oriented journalism because so much of what you do is providing solutions to systemic problems. Watch Rosenberg’s frank talk to find out more about it, and keep an eye on her Twitter feed for links to fresh examples. The Solutions Journalism Network website maintains a story tracker that you can search based on issue area. The competition was tough – every presentation was interesting and informative – but Elizabeth says Fritz Grobe and Stephen Voltz probably delivered the most entertaining talk at the conference. After 12 years of perfecting the art of making viral videos for their corporate clients (did you see the extreme Diet Coke & Mentos experiments? ), the EepyBird founders turned their attention to the question of whether viral videos can be used for social good. (The answer is yes!) Then they wrote the proverbial book on it. 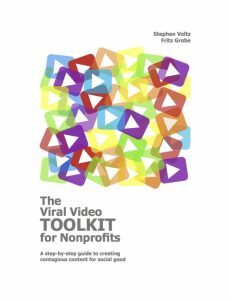 To learn how, download the free Viral Video Toolkit for Nonprofits. Watch Fritz Grobe and Stephen Voltz here. 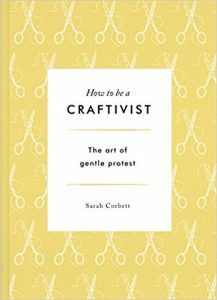 Take a look at these videos and if they inspire you to reach out to a solutions-oriented journalist in your community or create your own viral video or start a craftivsim project, drop us a line!